One hundred years ago Friday, several forest fires in northeastern Minnesota merged into a giant "wall of flames" that remains the state's deadliest-ever natural disaster. The fire leveled entire towns, including Cloquet and parts of Duluth. But nowhere was the devastation felt more than the town of Moose Lake. 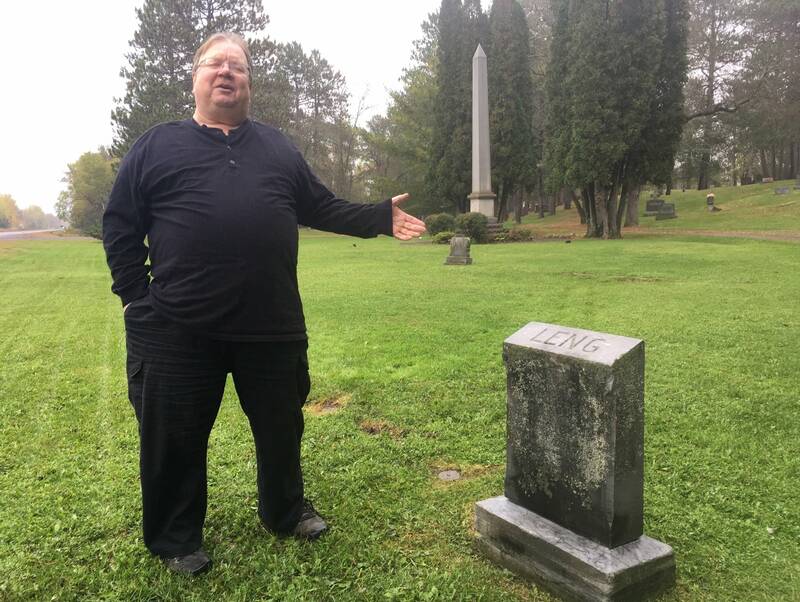 Just outside of town there's a cemetery with a tall, slender stone monument pointing to the sky. Engraving on the base says it was erected to the memory of the men, women and children who perished in the forest fire of Oct. 12, 1918. In front of the monument are two lines of small, round stones in the grass, each one placed over a grave site. "Coffins came, and they had row, after row, after row. Big trenches were hand dug here," said Moose Lake author and local historian, Dan Reed. "There's a marker for everyone who's buried here. Everybody has a number. You don't necessarily know who's there. There's just a body there — a little over 200," Reed said. "There is a story that a family of five, burned so severely that they all fit in a shoe box." The fire began when sparks from steam locomotives ignited tinder-dry brush along rail lines. In desert-like humidity, the fire whipped into a frenzy. It roared through piles of timber left behind from logging and cleared farm fields. The inferno consumed a land area half again the size of Rhode Island's land mass, spanning seven counties. 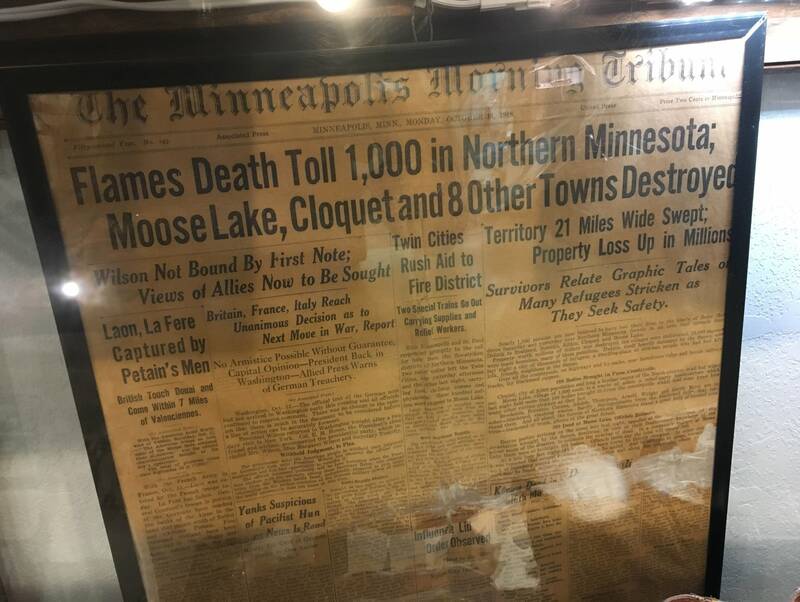 By the time it was over, 453 people had died — nearly half of them around Moose Lake. Many perished trying to escape in cars, including more than a dozen along a stretch of highway locals still call Dead Man's Curve. 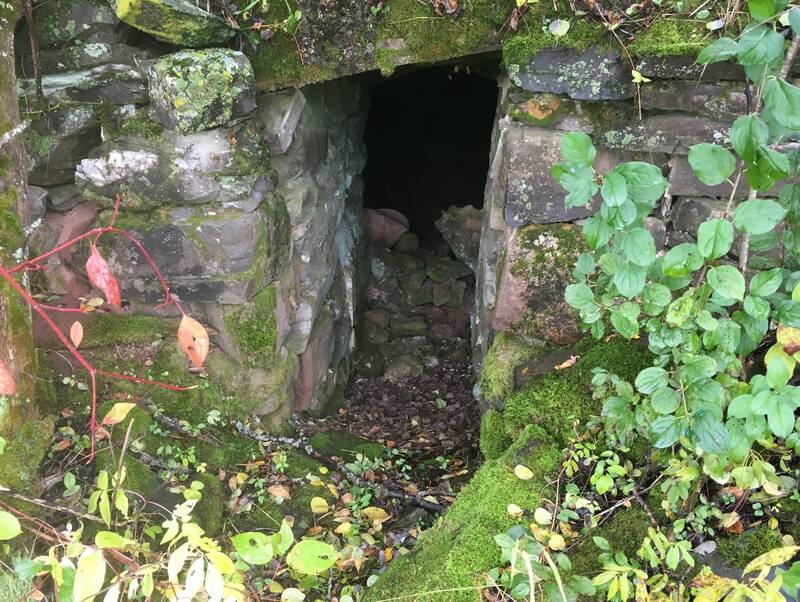 Others suffocated taking shelter in root cellars and wells as the fire sucked out oxygen. One survivor described it in a letter. Many more survived, and over the years Reed has doggedly collected their stories. "The Lundeens for example, were on the north side of the fire, and they watched the fire go and there was big explosions like artillery was going off, and the fire was galloping and rolling, and and it would go in fingers out and then joining together and just with a constant roar," Reed said. One of Reed's own grandfathers was stranded in a potato field, surrounded by flames. "He said it came like an animal. It was ready to kill them right there, and all of a sudden for some reason, It changed its mind. And the flames split. And they were left there. Nobody died. But he said he knew if it would have decided to kill them, it would have," Reed said. A century later many people in Moose Lake still have personal connections to the fire. Natalie Frohrip's mother-in-law lived through it. She was just 14 years old. "And she said that when she had been in Sunday school, she had learned that when the end of the world came, the stars were going to fall out of the sky," Frohrip said. "And so when they came down the hill and saw all the sparks, she was sure this was going to be the end." But they survived by wading into Moosehead Lake. 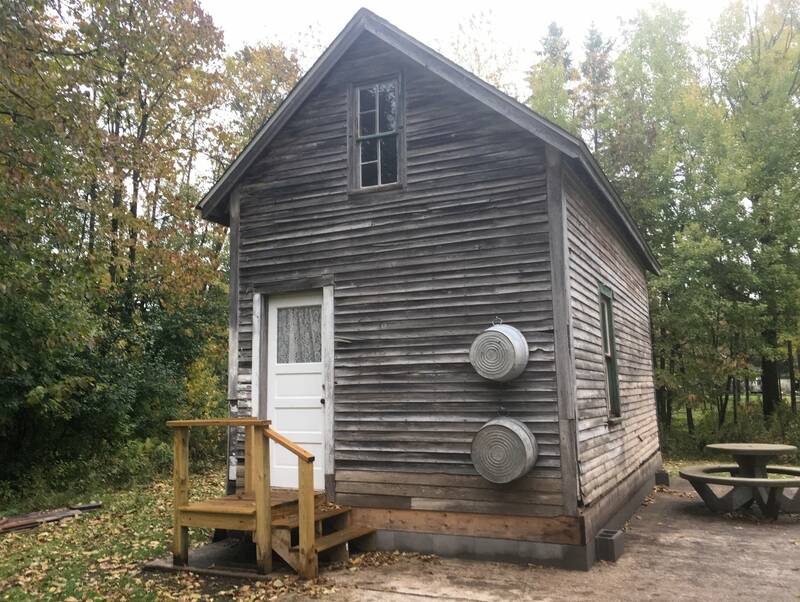 Now Frohrip is vice president of the Moose Lake Area Historical Society, and helps manage a museum partly dedicated to the fire. She read from a telegram the mayor sent to then-Gov. J.A.A. Burnquist pleading for help. "'We must have food and clothing for 3,000 people and 300 caskets at Moose Lake, the entire country burned and people suffering, all coming to Moose Lake for aid. We must also have financial aid. This appeal is urgent.'" Those who perished will be remembered this weekend at a series of events commemorating the fire's anniversary. Almost all of the fire's survivors have died over the years. But Reed talked to hundreds of them. He said he heard a similar refrain over and over. "Well you know if buildings burn, then the cattle are dead. And all that, you know, really doesn't matter because we're alive and our family has survived."